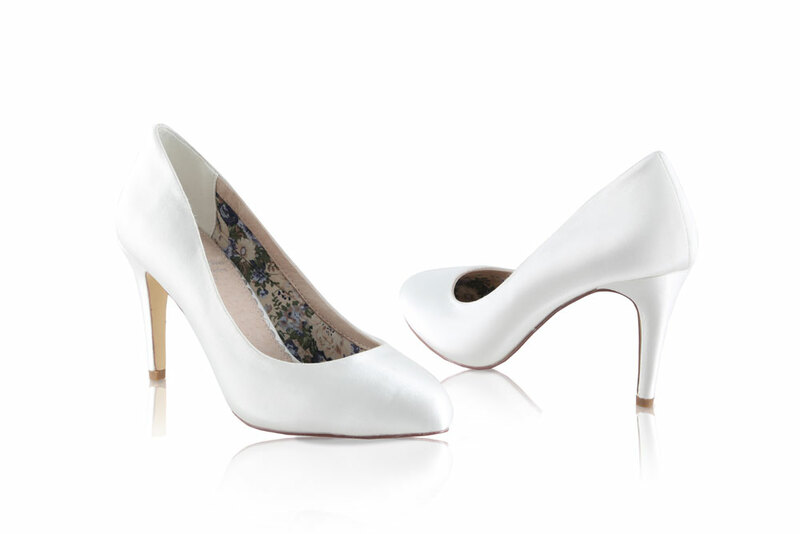 From The Perfect Bridal Company, Darcy is an elegant wedding court shoe with a soft almond toe and slim stiletto heel. Gorgeous and classic in it's ivory satin but also stunning when dyed to any colour! Made from luxurious materials, including leather and fabric linings, leather insole and cushioned padding, your extreme comfort throughout the day is ensured. Perfect Bridal shoes are as beautiful on the inside as they are on the outside! Team with matching handbag Laurel or Ash to create a perfect set! Or why not add a shoe trim for a splash of colour or sparkle! Click the button below to add the Perfect Bridal Shoes Darci Dyeable Satin Wedding Shoes to your wish list.